I was loading up some rounds for my 30-30 today and got nearly to the second to last cartridge, pulled a bullet out of a box of 170gr speer fn, seated it and went to crimp it and realized the bullet I had seated was a spire point bullet. So I pulled the bullet to discover that it was a boat tail also. I then weighed it to find it was a 180gr round. It looked cool when I placed that load next to my other 30-30 loads. very pleased you found it when you did as firing it could have had nasty concequences !! those flat noses sure look great. keep an eye out in every store you go into for some of the old winchester silvertips that had the aluminum cover on the tips as they were just the ducks nuts. buggered if I could see the sence in winchester changing a load that was so good. would have ruined your day! Elvis, I loved the old WW silvertips too. When WW quit making them, I went and got all the components I could find. But they're all shot up now. WW had a real winner then they had to partner with Nosler to make the new silvertip. tlo7mm...Seat that bullet so that the crimp is closer to the top of the cannelure. You should just see the cannelure showing above the case mouth. If you crimp low you take the chance of the bullet slipping back and the crimp not seated in the cannelure. Hence the bullet slipping back over the cannelure and into the case. Really NOT good. Why you knocking nosler, I resent that statement. Hahahaha! Its all good, openions are like a$$holes, everyones got one. By the way thanks for the tips bushy, I appriciate it. I had a heck of time adjusting my bullet seating die to that point. The more I adjusted it the less it seemed to move. I will get it right eventually, its a learning process right? oh also I am still figuring out the factory crimp die. I am not sure if I really have it set to the point I want it. I'm not knocking nosler, just their affiation with winchester on the new silvertip. They took a proven big game bullet and made it into a varmit bullet. 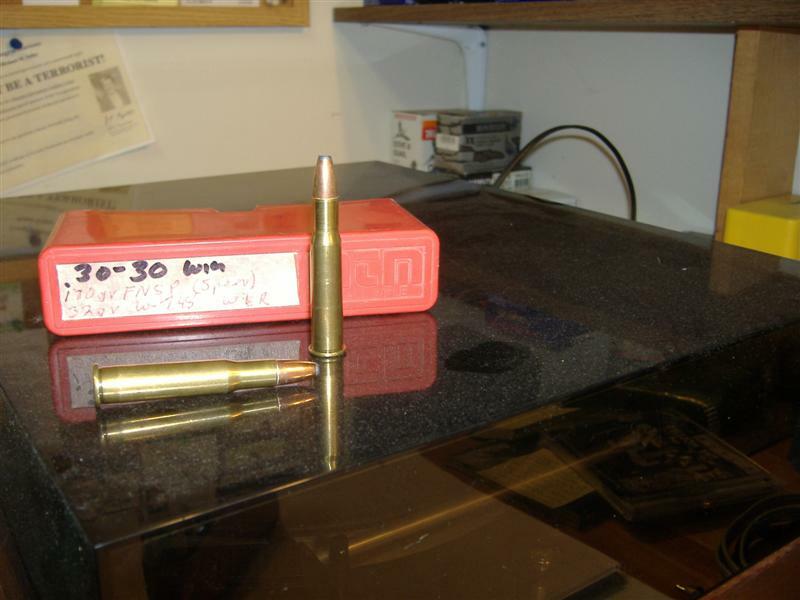 I've hunted with nosler partitions for a long time, great bullet, but I wouldnt hit a fat hog in the arse with a ballistic tip. hahaha! I love it, I was just messin with you anyway man. 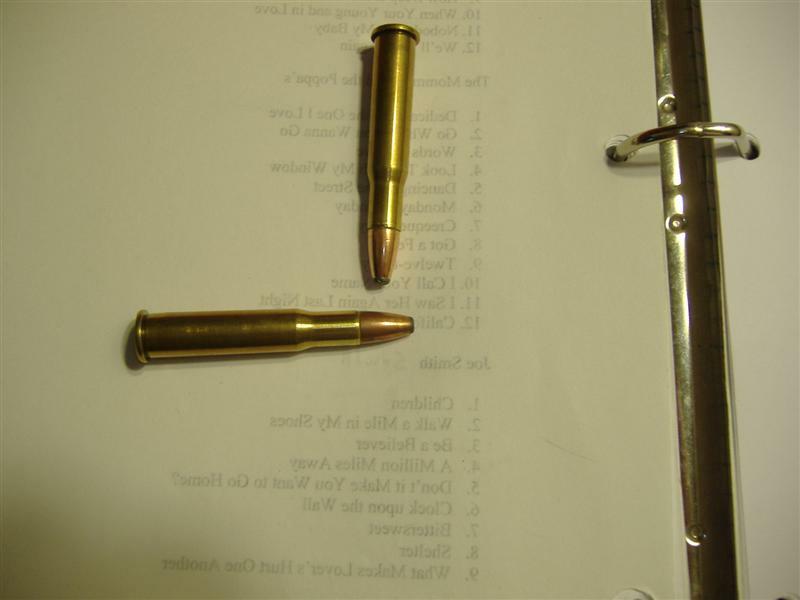 I have nosler ballistic tips for my .222 but I load my 7 mag with partitions. I am thinking of trying the accubonds out for my wife in her 06. I hear good things. By the way I appriciate the feed back on everything. When you get the FCD you won't have the seating depth problem. You'll just seat the bullet to where you want it and run it through the FCD and it will not move the bullet as the seating/crimping die does. Perzackerly Bushy. Best thing I ever did was get a LEE FCD for both my centrefire calibres. Elvis...those flat nose boolits look like Winchester 150gr PPFN made specifically for the 30.30 lever gun mate. I use them in my Model 94, and it loves them. They are accurate as well, which makes them a damn fine boolit in my eyes. but not as good as the old WWsilvertips I shot a heap of animals with the old 30/30 and those were by far the best loads. big narly boars just keeled over when hit in the shoulder. I used them in my .270 as well and they were just awesome. I dont knock nosler just miss the great load that is no more. Yep...have to agree mate...the old Silver Tip was a magnificent bullet. As others said...wish they were available now. Those flat nose bullets in my pic are speer 170gr deepcurls, the replacement for speer magtips. HOW'D THAT HEAVIER POINTY BULLET GET MIXED IN WITH THE LIGHTER ONES??? ?